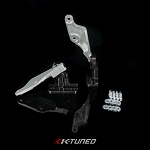 Applications: All 1988-2001 Honda B-Series engines and all 1988-2000 D-Series engines (Except D16Z6). Note: May not fit with some scattershields. 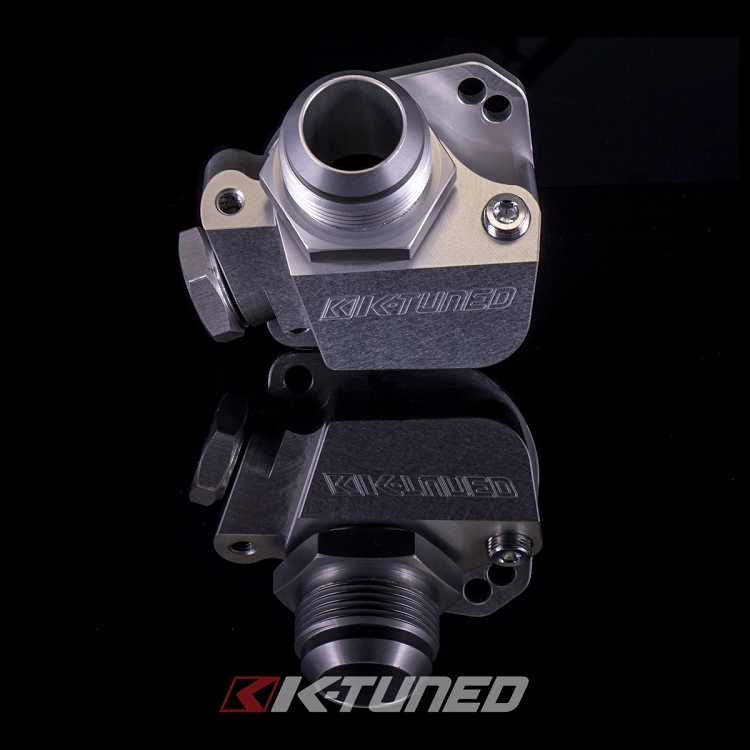 The K-Tuned B/D Thermostat Housing was developed to offer B and D Series engine owners a few more options with their cooling system setups. 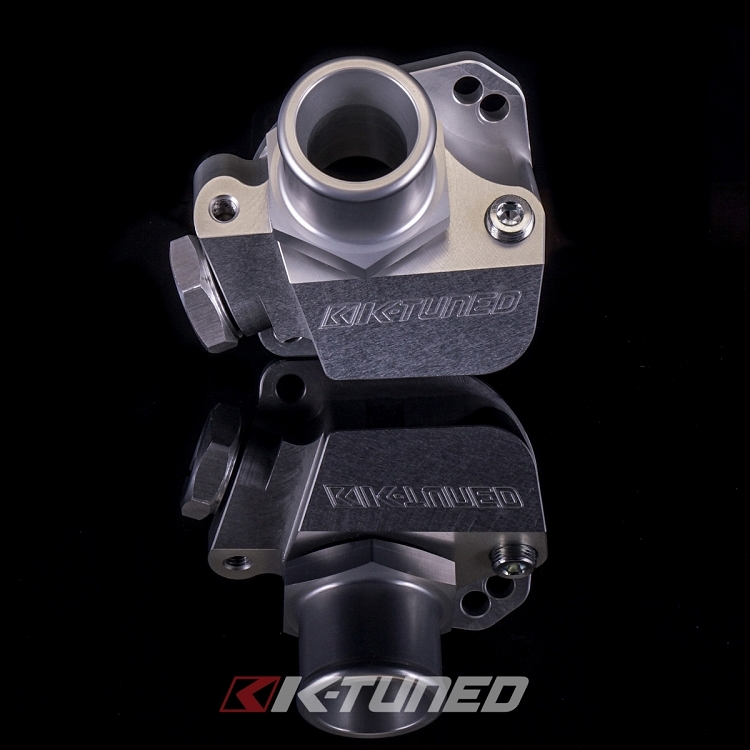 The CNC machined billet housing is a direct replacement for the oem unit and mounts in the same factory position, with the rad outlet following the original and slightly upward outlet angle. The number one feature of this design is the threaded water outlet port on the body, which allows use of the standard 1.25" rad hose fitting or 12AN / 16AN fittings if desired. 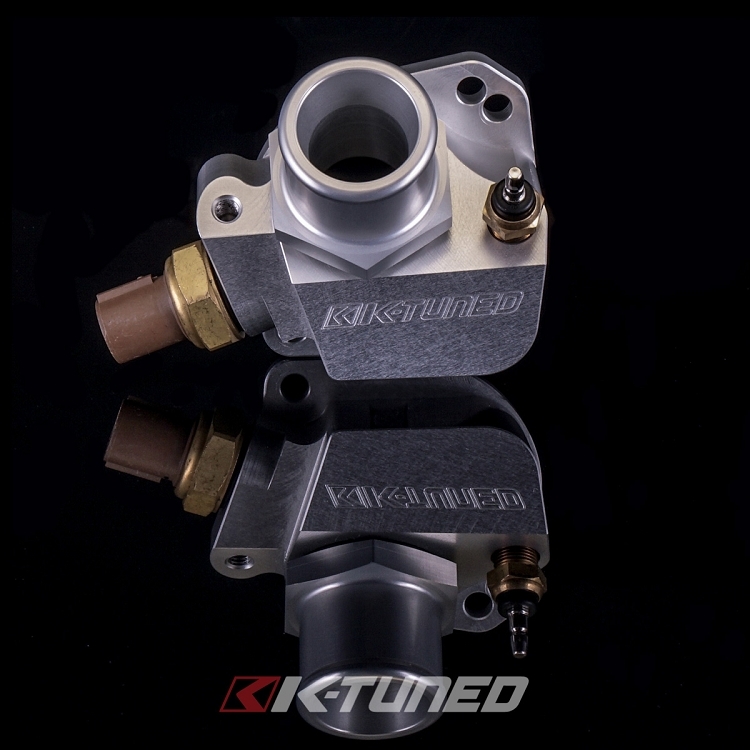 This unique threaded port design eliminates the need to weld bungs to the old and dirty factory cast aluminum pieces. The rad hose fitting thread size is 16OR (1-5/16-12 SAE) and is properly sealed in an o-ring port to ensure leak-free operation. 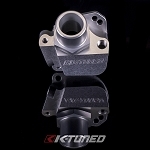 The housing also has two additional ports on it, one for the fan switch and one 1/8 NPT accessory port for gauges etc. 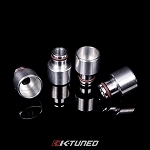 Note that we do include a plug for the 1/8 NPT port, just in case the port is not used. 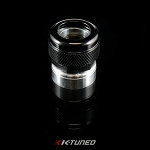 We even machined and threaded the M6 hole for the important ground ring found on the engine harness. 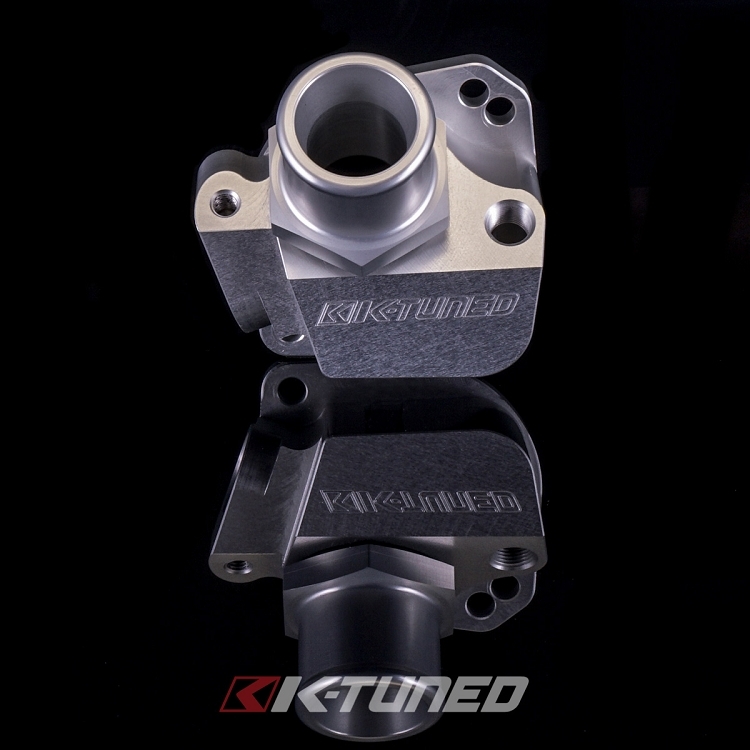 Installation is very simple, the housing is located right beside the intake manifold and held in place with only two bolts. You'll notice that we have two different top hole locations, these allow the housing to fit all 1988-2001 Honda B-Series engines and all 1988-2000 D-Series engines. 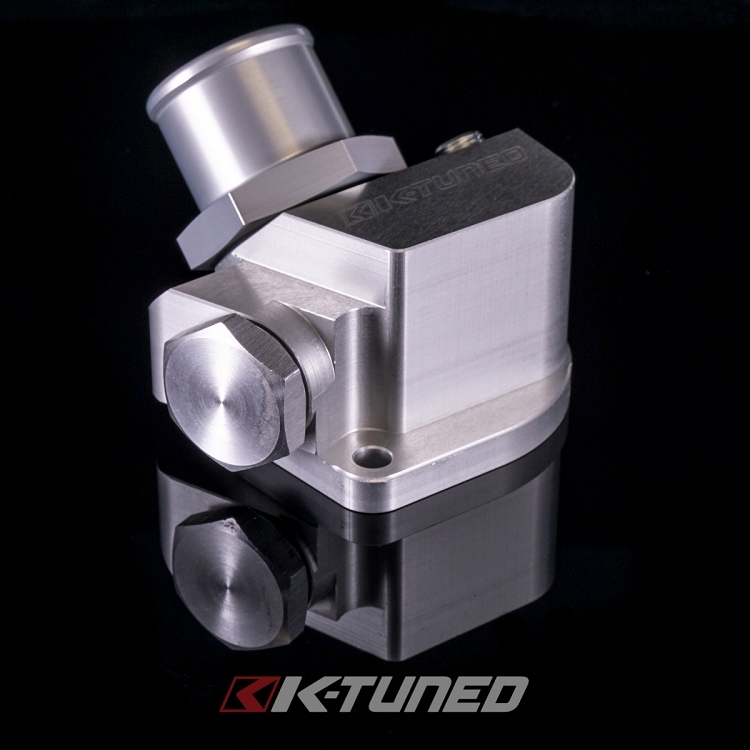 The K-Tuned B/D Thermostat Housing is not just a functional piece, it will also add a very nice touch to any engine bay.